Services are scheduled for 9:30 a.m. Wednesday, Dec. 21, at Our Lady of Grace Catholic Church for Leonardo R. Velasques of Artesia. Velasques, 82, passed away Friday, Dec. 16, 2016, at his home. Fr. Martin Cornejo will officiate at the services, with interment to follow at Twin Oaks Memorial Park. Pallbearers will be his grandchildren, Joe Gomez, Connie Westall, Michael Gomez, Mark Velasques, Lino Arredondo and Lance Velasques. Honorary pallbearers are all other grandchildren, great-grandchildren and great-great-grandchildren. Leonardo was born Sept. 23, 1934, in Loving, the son of Maurisio and Atilana (Renteria) Velasques. On Aug. 20, 1954, he married Ansension “Chona” Valdez in Carlsbad. Leonardo was a laborer at the New Mexico State University Agricultural Science Center. He was a member of Our Lady of Grace Catholic Church and enjoyed hunting, fishing, cooking for family and friends, welding, making new friends, and spending time with his grandchildren and great-grandchildren. 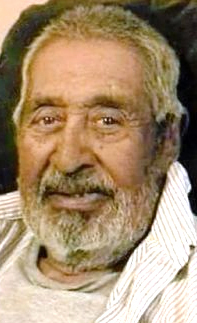 Survivors include son Raul Velasques and wife Felicia of Artesia; daughters Mary Gomez, Emma Rivera, Angie Hernandez and husband Frank, Lisa Arredondo, and Cecilia Rojas and husband Pete, all of Artesia, and Nellie Velasques and Linda Armendarez, both of Roswell; sisters Petra Santa Maria and Belen Huerta, both of Visalia, Calif.; 18 grandchildren; 36 great-grandchildren; and two great-great-grandchildren. He was preceded in death by his wife, Chona Velasques, in March 1996; his parents; one brother; two sisters; and son-in-law Leo Rivera.